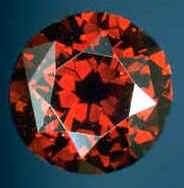 Made from pure carbon the red diamond is the most costly gemstone on earth. Nature uses this same element along with at least 58 others to make something far more valuable to us than this beautiful stone. oxygen, carbon, hydrogen, nitrogen, calcium, phosphorus, potassium, sulfur, sodium, chlorine, magnesium, iron, fluorine, zinc, silicon, rubidium, strontium, bromine, lead, copper, aluminum, cadmium, cerium, barium, iodine, tin, titanium, boron, nickel, selenium, chromium, manganese, arsenic, lithium, cesium, mercury, germanium, molybdenum, cobalt, antimony, silver, niobium, zirconium, lanthanum, gallium, tellurium, yttrium, bismuth, thallium, indium, gold, scandium, tantalum, vanadium, thorium, uranium, samarium, beryllium, tungsten. If we were to combine the elements above we might be able to make some interesting looking soup but when Nature combines these same elements in very special ways they make a living breathing person. Once the person is built it automatically rebuilds itself throughout its lifetime. In order to do this it must have a continuous supply of these same elements and once again they must be combined in very special ways. Understanding the elements we need and the way they must be combined can profoundly affect our lives in the way we feel, act, look and think. It is the only way that we can ever be all that we can be!